It’s inevitable, between the hordes of costumed kiddos knocking at your door and your family, that giant bag of Halloween candy is gonna disappear! 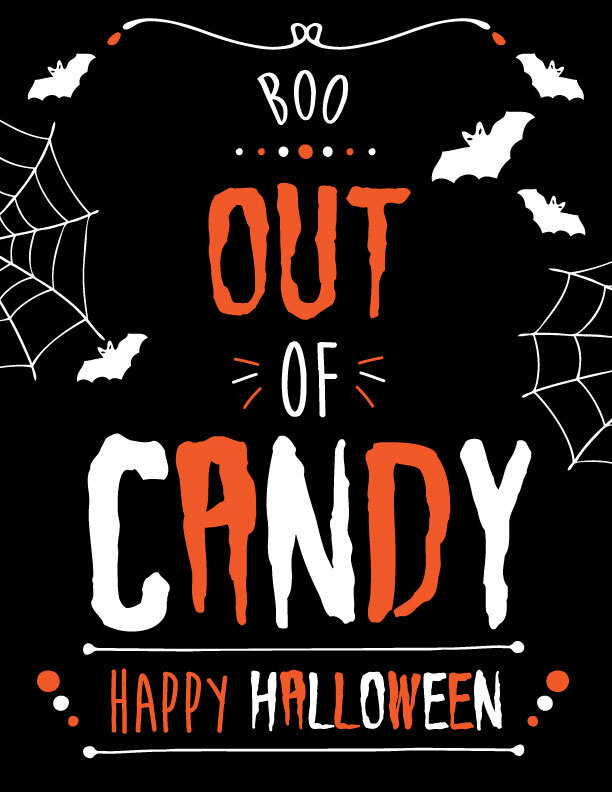 When that moment comes this year, don’t turn off all your lights and hide silently… tape up this cute & creepy printable “Out of Candy” sign! Check out all our personalized Halloween gift ideas below & have a very spooky holiday! Bats! We love these creepy critters whether you’ve got ’em in the attic, the basement, the belfry or all over your house this Halloween! 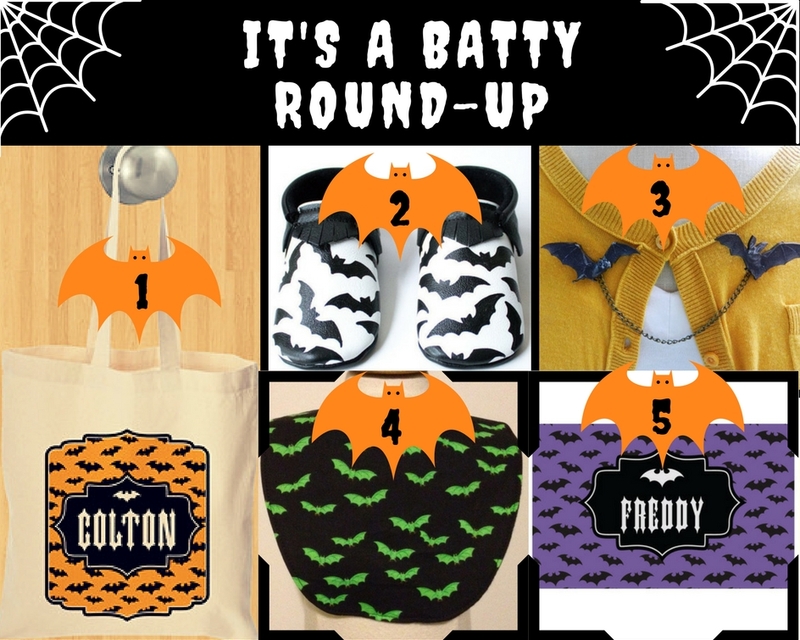 Bat-i-fy your life with these cute & creepy Halloween gifts, including a nice big lightweight canvas bag to hold all your trick-or-treating loot. Fly on over to check out all our awesome personalized Halloween gifts here – a most creepy collection of spooky stuff for your fave boys, ghouls and Bat-Babies! Tis the season… for all things PUMPKIN! 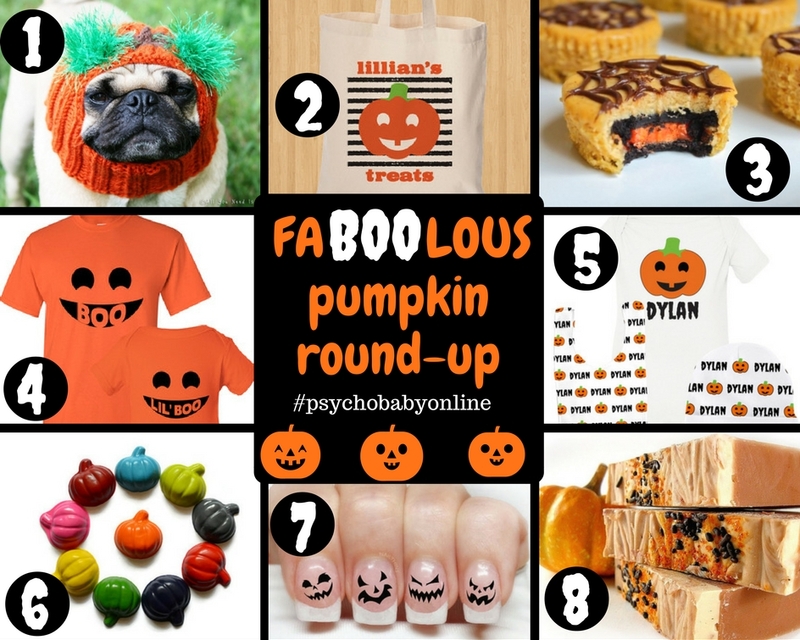 Obviously, pumpkin spice EVERYTHING, but here are some of our other fave pumpkin-licious items to celebrate fall! Loving the little jack-o-lantern nails – would look amazing over some bright orange polish! 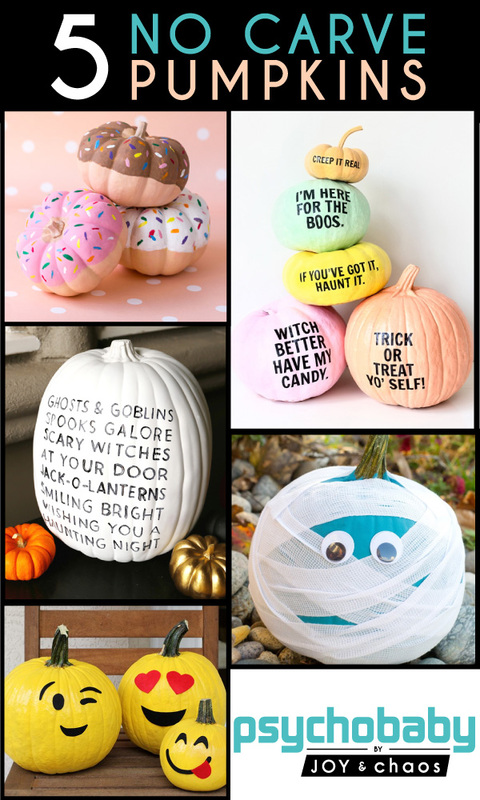 Check out all our awesome personalized Halloween gifts here and if you have a fave pumpkin-y treat, let us know! 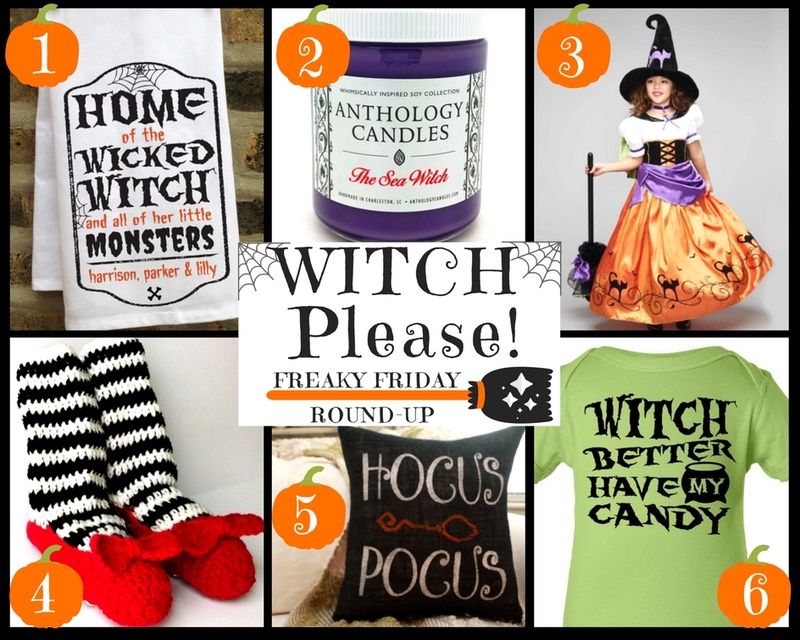 We are kicking off the spookiest season with a Freaky Friday Round-Up, full of wonderfully witchy gift ideas! Haunt your house with personalized Halloween decor, like our Wicked Witch Kitchen Towel, or cast a spell on your couch with a cute Hocus Pocus pillow. Ghoulish little girls will dig this fun witch costume, and you don’t have to miss out on the dress-up action with the creepiest, coziest, handmade slipper socks! How do you get ready for Halloween? Check out all our creepiest custom gift ideas for some inspiration!